Very central and private. 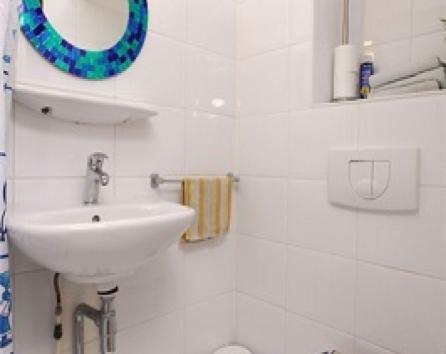 2 rooms space (4 guests max.) for your clean and relaxed Amsterdam holidays. 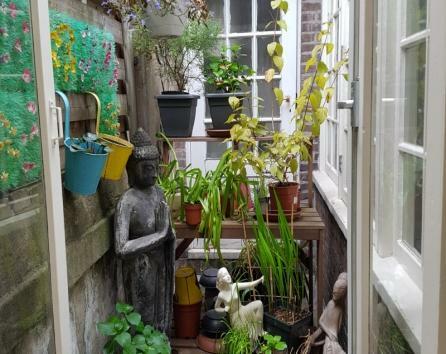 Cozy and private two room space for up to four guests, in a typical Amsterdam B&B. 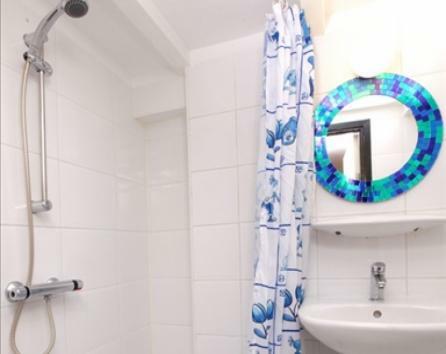 Fully furnished and completely renovated and centrally located in Amsterdam. Roughly a five minute walk from main sights and attractions, in the pedestrianized area of the city center. 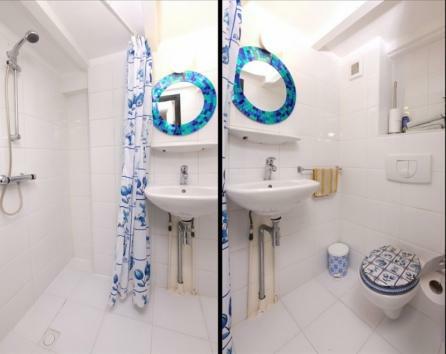 Situated between the main shopping streets Kalverstraat and Leidsestraat. There are also plenty of restaurants, bars, coffeshops and clubs closeby. The Flower Market/Spui area is located in the downtown shopping area and is very lively, both day and night. The Flower market area is located in the downtown shopping area and is very lively both day and night. It's a car free area and down the street there are a few inexpensive restaurants and bars that make the atmosphere nice and relaxed. In front of the door we find the best patat`(French fries) shop of Amsterdam. Everything is open 7 days a week. The supermarket just around the corner as well. Most important tram connections are a few steps away. You can plan every trip you want to make and can walk or hire a bike if the weather is nice. Most attractions are a max. of 10-minute walk away or cycle away. 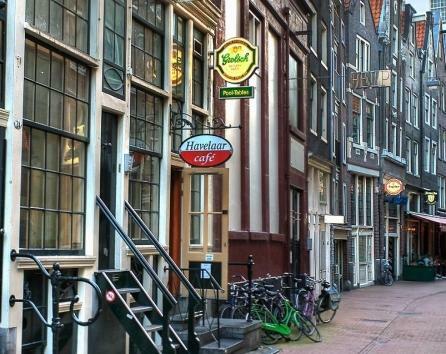 Cafe's, Restaurants, clubs, main shopping street Kalverstraat 10/20 mt Museums and important monuments, interesting touristic attractions etc.. from 1 to max 10 minutes walk. There is a small living area with sofa and chairs. On the lower floor (accessed by internal stairs) you will find a small countertop with a coffee machine, kettle, toaster and microwave to prepare your breakfast. There is also a small fridge and a dishwasher. There are two single beds which can be prepared as a double on the top/entrance floor. There are two more single beds on the lower floor. Private toilet, sink and shower. Fresh and clean towels and linen are provided. The apartment is cannabis friendly. Please note that between the two rooms/floors where you stay, there is no real separation (like a door or wall). Privacy between your group could be limited. At the other end, both spaces will not be rented to anyone else during your stay, so there will be no sharing with strangers (even when you book for 1 person). 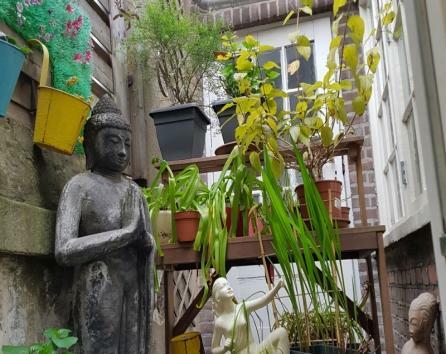 Your two rooms are located at the back of the house with your own entrance and are very quiet considering this great location in the centre of Amsterdam. just a stone's throw from everything Amsterdam has to offer. (No public transport is really needed). The house setup (you in the back and me in the front of it), also guarantee more than enough privacy for all of us. The balance is to be paid by bank transfer directly to the owner after booking or cash on arrival. Less than 3 days or no prior notice / No show: 100% of the total balance. There is a baby cot (foldable one) At check in I will explain the B&B and the rules and provide information about the city as well. I live in the front part of the house and your group will have more than enough privacy during your stay, as you have your own entrance door between us there is a wall. Furthermore, I work all day so we'll not see each other too much if not needed, but as I often work from home, I will be available at any time for any questions.